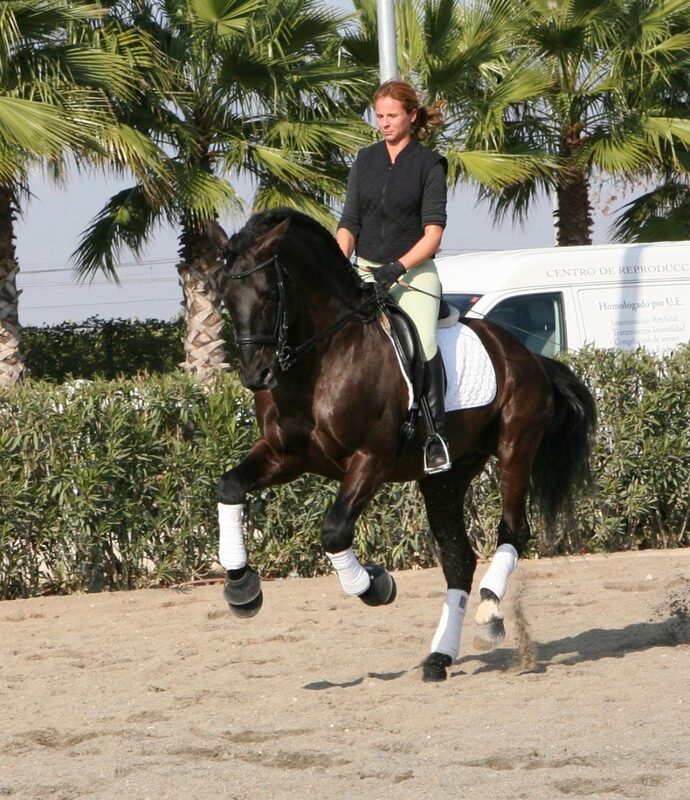 UNIC black Purebred Spanish Stallion with the qualification of Young REPRODUCTIVE RECOMMEMDED for Dressage and Morphology, qualified and improver. 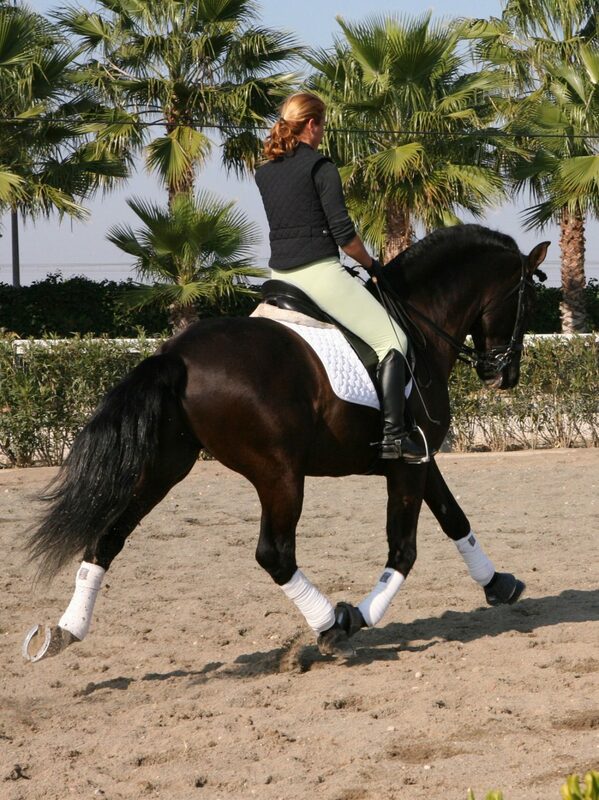 As for his origins, by paternal line, son of Ermitaño III, first ELITE stallion. 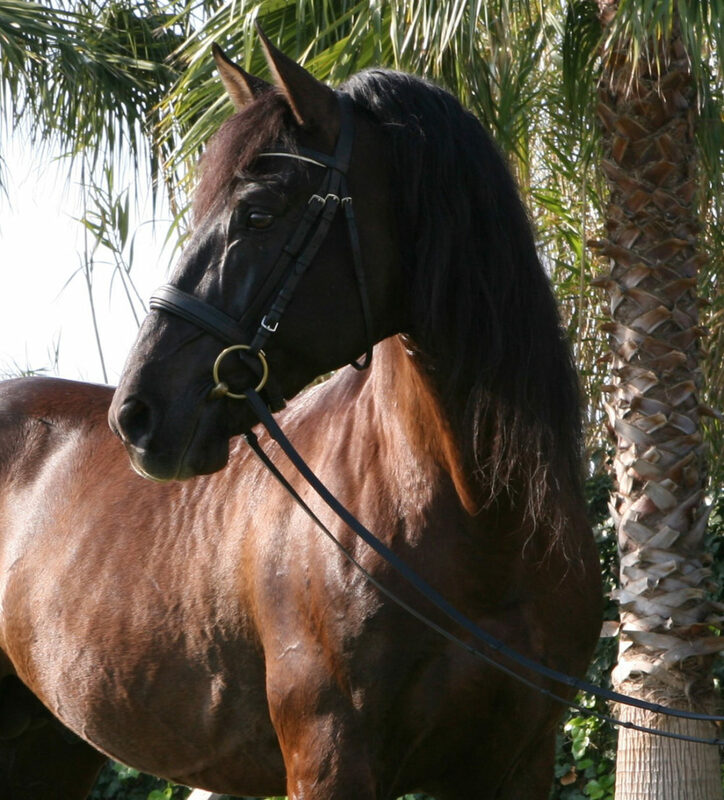 By maternal line, grandson of Hortelano XIV, horse that managed to be for three consecutive years (1995, 1996 and 1997) in the podium of SICAB, being the three years reserve champion of Spain,and Primorosa XXV of Romero Benitez’s brand. With all this in Cacique we combine the functionality to the morphology, so important in the Spanish horse. As for his offspring, so important in a stallion, stands out among others the Poeta de Susaeta, current champion in dressage Cup Ancce 5 years. 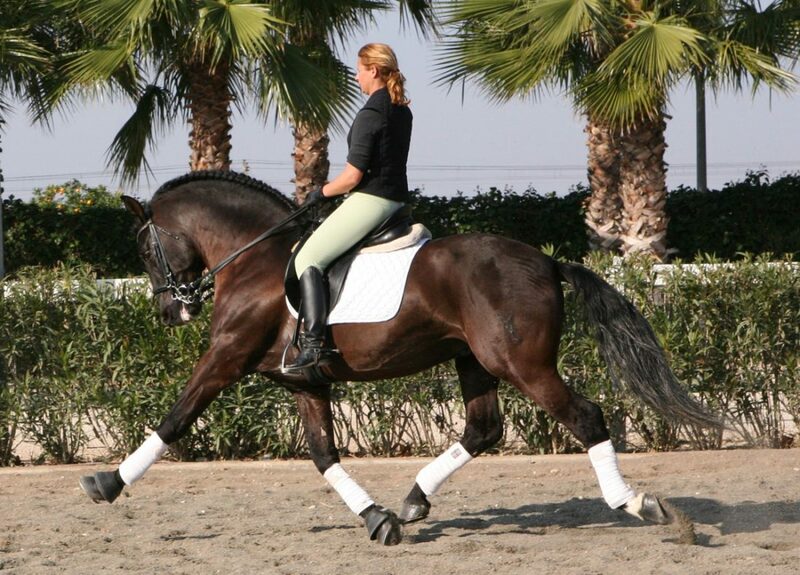 Horse with a lot of beauty, head with Subconvex profile, compact bone structure, unbeatable back, athletic croup, good legs, with three excellent airs, walk in four times well marked surpassing the footprint, wide trot, very regular and stable without losing the characteristic elevation of the race. Unbeatable quality in its gallop, by its elevation and tendency uphill and forward. Finalist in the ANCCE Cup of DOMA 2008 and 2009.